According to New York Times writer David Leonhardt, the Millennial generation is being "fleeced" by an economic system that favors the old over the young. For Millennials, Leonhardt points out, incomes are stagnant, and the wealth gap between Baby Boomers and younger Americans is growing. "Given these trends," Leonhardt writes, "you'd think the government would be trying to help the young." But it is not doing that, Leonhardt argues. Instead government policy is making it harder for younger Americans to climb the economic ladder. The biggest example of this myopic governmental policy, according to Leonhardt, is higher education. "Over the past decade, states have cut college funding by an average of 16 percent per student," Leonhardt writes, forcing students to borrow more and more money. Of course Leonhardt is right. Burdensome student loans are making it more and more difficult for young Americans to buy homes and start families. Literally millions of Americans are not able to service their student-loan obligations and are being forced into long-term income-based repayment plans that can stretch out for two decades or even longer. Though millennials catch the most flack for taking out hundreds of thousands of dollars in student loans to pay for worthless college degrees that do little to improve their financial prospects in the "real world," for older Americans who take out loans to finance their education later in life, the repercussions can be ten times worse. On average, the writer reported, student borrowers in their 60s owed almost $34,000 in student loans in 2017, up 44 percent in just seven years. About 200,000 people age 50 or older are having Social Security checks or other government payments garnished due to student-loan defaults. Total student-loan indebtedness by people in their 60s and older more than doubled in just seven years--from $33 billion in 2010 to $86 billion in 2017. 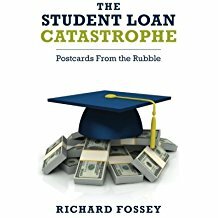 Most elderly college-loan borrowers accumulated debt to finance their own postsecondary studies but thousands of parents took out Parent Plus loans to finance their children's college education. According to Josh Mitchell of the Wall Street Journal, 330,00 Americans, representing 11 percent of Parent Plus borrowers, had gone at least a year without making a payment on their Parent Plus loans as of September 2015. Insolvent older Americans have filed bankruptcy to discharge their massive student-loan debt, but the Department of Education and its contracted debt collectors almost always oppose bankruptcy relief. In a Kansas bankruptcy action, Educational Credit Management Corporation (ECMC) fought bankruptcy relief for Vicky Jo Metz, a 59-year-old woman who had borrowed about $17,000 to attend community college in the early 1990s and had seen her total debt quadruple in size due to accruing interest. Put Ms. Metz in an income-based repayment plan (IDR), ECMC demanded. But a Kansas bankruptcy court disagreed. If Metz entered into a 25-year IDR plan, the court observed, she would be 84 years old before her repayment obligations came to an end. Moreover, her debt would continue to grow even if she faithfully made her monthly loan payments for a quarter of a century. The judge sensibly forgave all the accumulated interest on Ms. Metz's debt, requiring her only to pay back the principal. We should be careful about framing the student-loan crisis as a burden that falls mainly on the young. People of all ages are burdened by staggering levels of student-loan debt. And it is the elderly who most merit relief. Our government could implement some modest reforms to help relieve the suffering of older student-loan debtors. For example, Senators Elizabeth Warren and Clair McCaskill supported legislation to stop the garnishment of Social Security checks due to student-loan default. And the Department of Education could stop opposing bankruptcy relief for older student-loan debtors like Ms. Metz. As for me, I will support any candidate for the presidency who endorses substantive relief for the millions of Americans of all ages who have been fleeced by the federal student-loan program. In my view, free college in the future, which Senator Kamala Harris proposes, does not go nearly far enough toward reforming the federal student loan program--now totally out of control. Kamala Harris, presidential candidate, promises cost-free college for most Americans. What will she do for millions of student debtors who are suffering right now? Senator Kamala Harris (D. Cal.) is running for President, and she promises a free college education for most Americans if she gets elected. Attendance at a public institution will be free for families making $125,000 or less, which Harris claims will benefit about 80 percent of all Americans. The federal student-loan program will remain in place, but interest rates on loans will be slashed to less than 2 percent. Students from low-income families can attend private colleges and universities that serve "underrepresented minority communities" (she probably means HBCUs) at reduced tuition rates. The Harris-Sanders plan will also help students "afford books, housing, and transportation, and other fees." Free college! It's like bourbon flowing out of the office water cooler. Who could oppose that? But here's the big problem with the Harris-Sanders proposal. Their plan would leave the current student-loan program in place. The federal student-loan program is a colossal disaster, as Secretary of Education Betsy DeVos admitted last November; and it needs to be radically reformed. Secretary DeVos said only 1 out of 4 student borrowers are paying down principal and interest on their loans, and 43 percent of outstanding federal loans are "in distress." The Harris-Sanders plan won't do anything to relieve the suffering of millions of Americans who are being crushed by student loans except cut interest rates. In any event, Senator Harris's free college plan is never going to happen. It simply is not possible for the federal government to finance free college education to millions of Americans while we have $1.56 trillion in accumulated student loan debt--at least half of which will never be repaid. However, there are specific things that Congress and our President can do to relieve the suffering of distressed student-loan borrowers, and I will support any presidential candidate who promises to "treat the wounded." 1) Congress must eliminate the "undue hardship" language from the Bankruptcy Code so that overburdened college debtors can discharge their student loans in the bankruptcy courts. 2) The for-profit-college industry must be shut down. Kamala Harris says she is "for the people." And in fact, she aggressively prosecuted Corinthian Colleges, a predatory for-profit college racket, when she was California's attorney general. Her office obtained a billion dollar judgment against Corinthian, which filed for bankruptcy and shut down. Nevertheless, as a presidential candidate, Harris must continue to attack the sleazy for-profit industry. And she should endorse bankruptcy relief for millions of honest Americans who have been victimized by student loans. 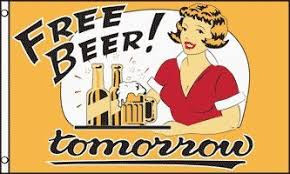 Right now, Harris's higher education platform is nothing more than "Free beer tomorrow." Let's see if she proposes substantive reforms for the federal student-loan program and a serious crackdown on the for-profits.